Inspired and influenced by love. 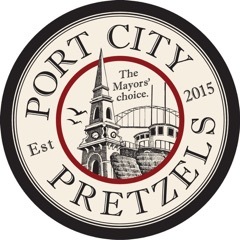 Port City Pretzels (Best of NH) came about as a tasty snack food around at our family gatherings, now available for everyone. These pretzels are seasoned with an intense Ranch & Dill flavor (Best New Product 2016), yummy Cinnamon Sugar, and Feisty Hot. IRRESISTIBLE and addicting, they will have you reaching for just one more. Enjoy.